Barça will be looking to bounce straight back from their midweek loss at Espanyol, as they complete their third away trip in a week before four consecutive fixtures in Catalonia. Samuel Umtiti has been declared fit and included in the squad, while Gerard Deulofeu is called back up for duty and there's also room for Carles Aleñá of Barça B.
Philippe Coutinho, Ousmane Dembélé, Paco Alcácer, Andrés Iniesta and Javier Mascherano all miss out through injury, and Rafinha, Denis Suárez and Yerry Mina also stay at home. The full FCB squad is as follows: Ter Stegen, Semedo, Piqué, Rakitic, Sergio Busquets, Suárez, Messi, Cillessen, Paulinho, Deulofeu, Jordi Alba, Digne, Sergi Roberto, André Gomes, Aleix Vidal, Umtiti, Vermaelen and Aleñá. Zouhair Feddal and Aissa Mandi return from suspension for Betis and should come straight back into the starting XI. Francis will continue to deputise for the injured Antonio Barragan at right-back, whilst Cristian Tello is likely to be included against his former team-mates. Betis coach Quique Setién claimed at his press conference on Friday that his side are “in fine form and will be courageous” against the Blaugrana. 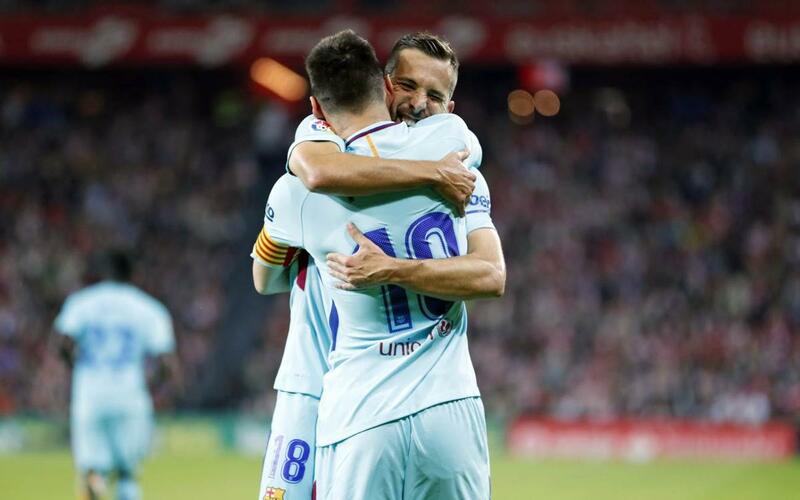 Barça suffered their first defeat for 29 games this week, a 0-1 loss to Espanyol in the Copa del Rey. Prior to that reverse, they had won eight and drawn two of the previous 10, keeping clean sheets in seven. After a run of five games without a victory, Betis have found some form again recently, winning three of the last four and scoring 10 goals in those fixtures - five of those in a memorable defeat of local rivals Sevilla. Barça have only lost twice to Betis in the League since 2004, both defeats coming in Andalusia. In the last 10 meetings home and away, the Blaugrana have won eight and drawn the other two, one of which came in the meeting last season. Goals are almost certainly guaranteed as there have been no goalless draws in the fixture this century, and at least two goals have been scored in every match between the two sides since 1996.